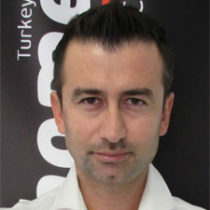 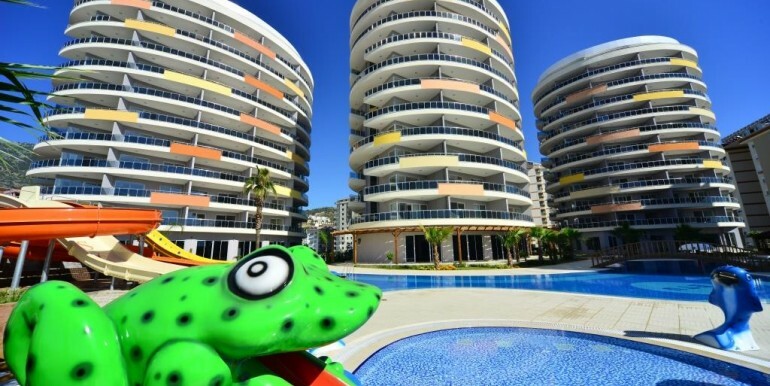 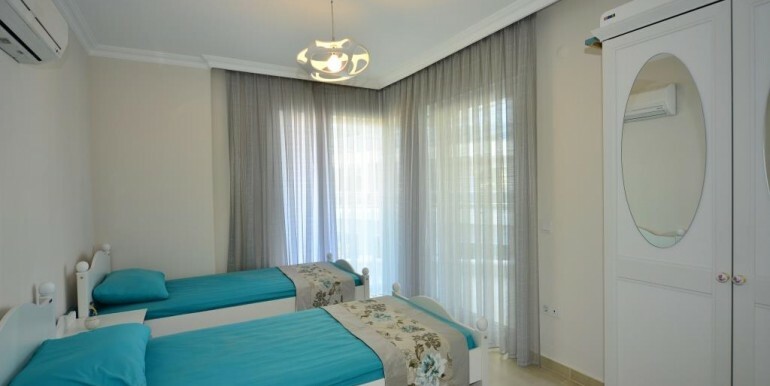 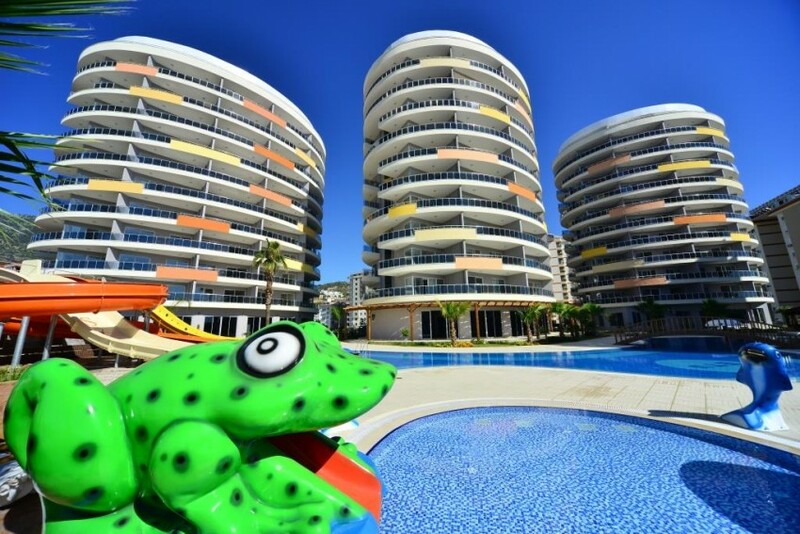 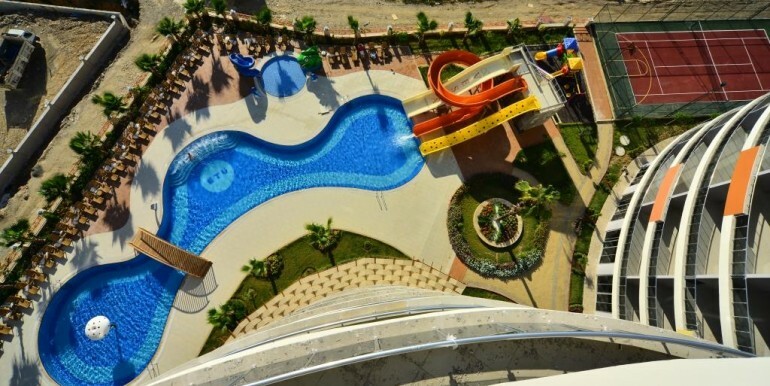 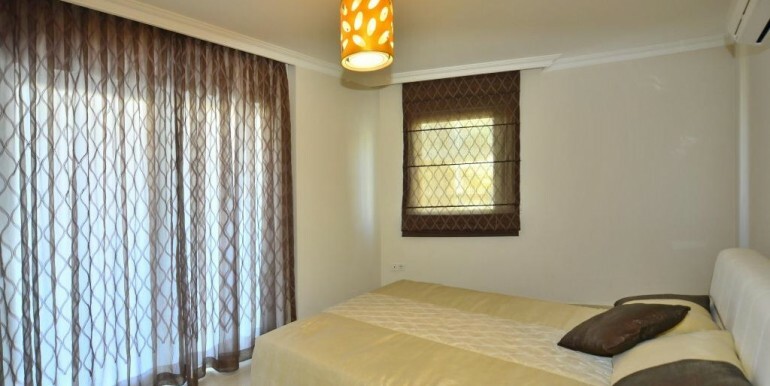 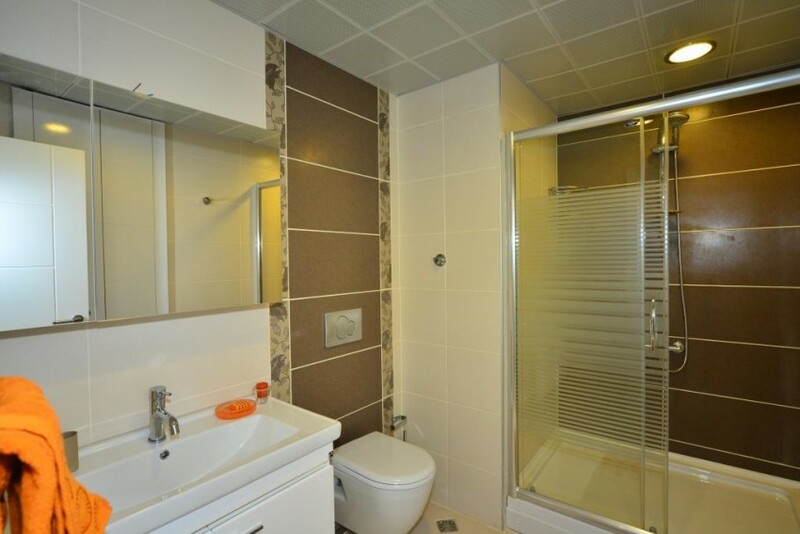 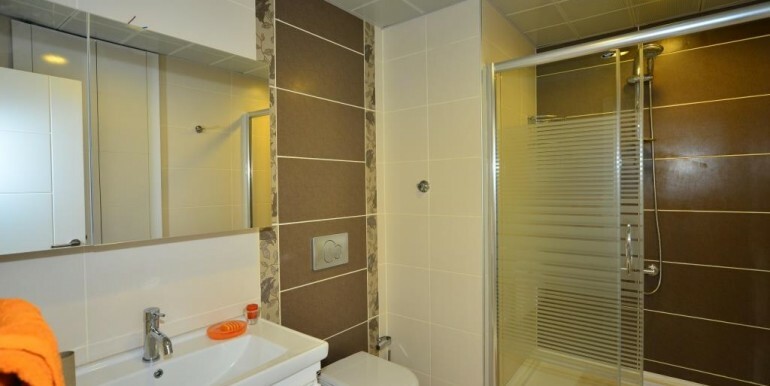 BH Vesta Garden | Your real estate agent in Turkey.Rent Apartment in Alanya. 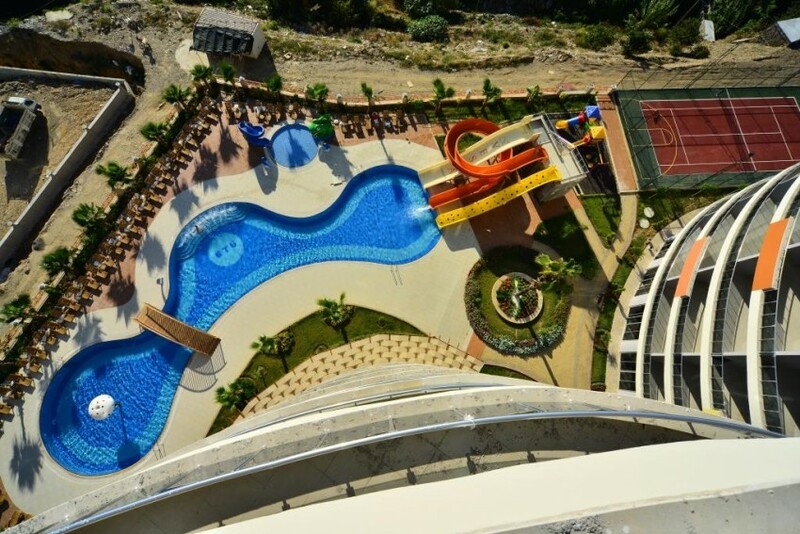 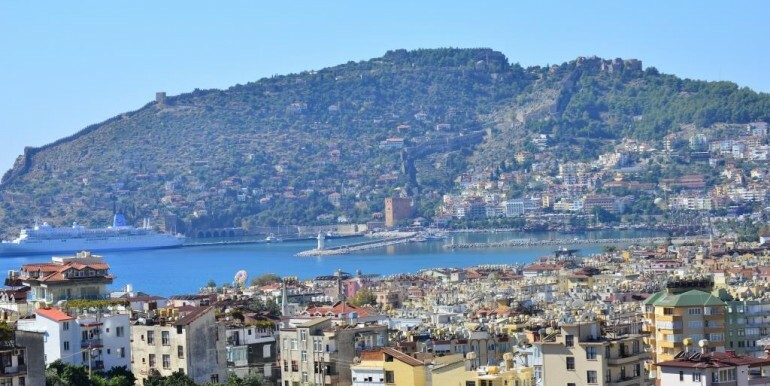 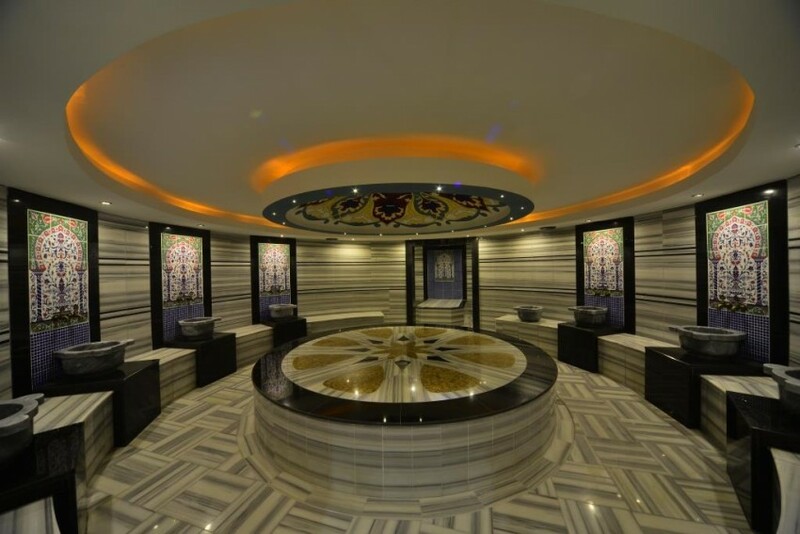 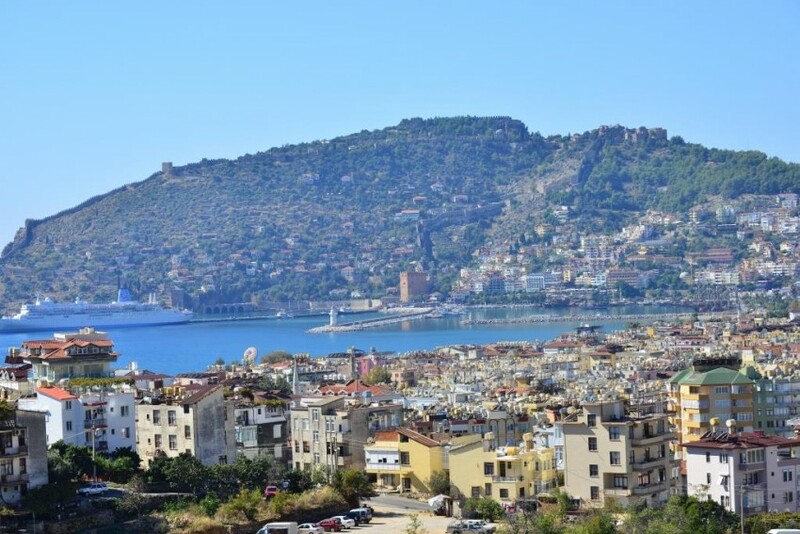 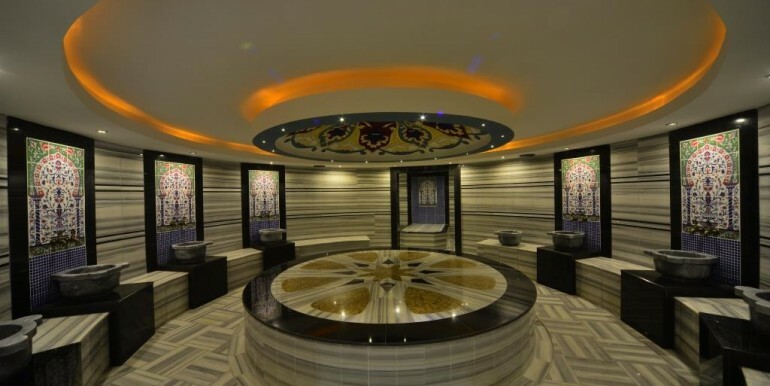 This project is located in Alanya/Cikcilli. 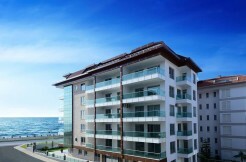 The project consists of 4 apartments blocks designed in a modern style. 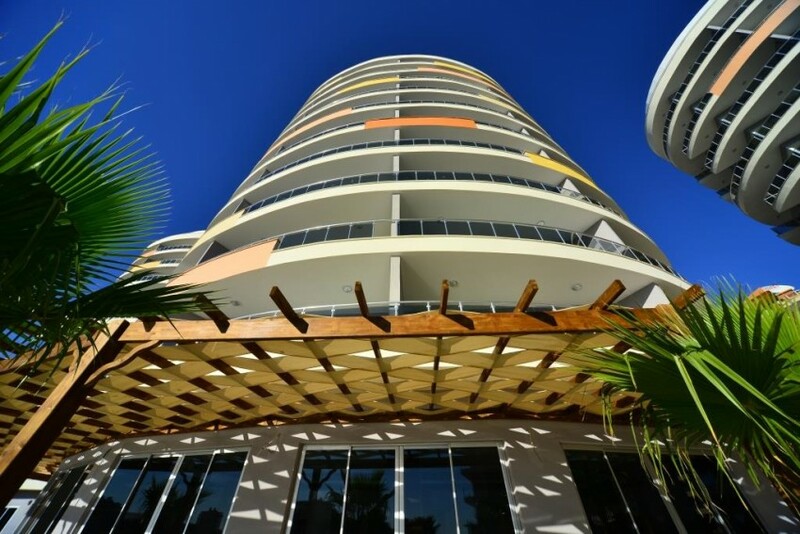 Every Block has 9 floors; block A including 5 apartments on each floor, blocks B,C and D including 4 apartments on each floor. 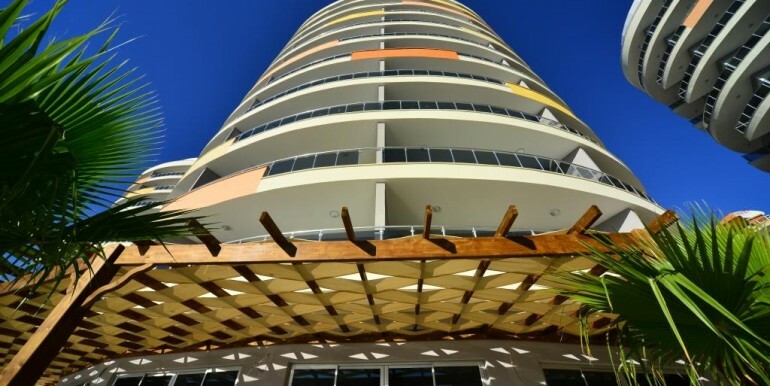 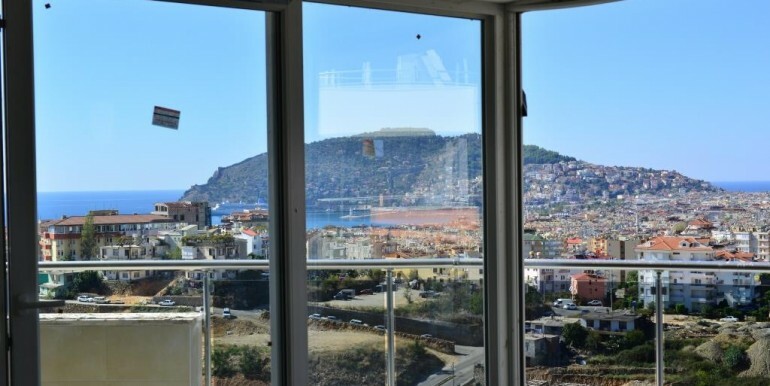 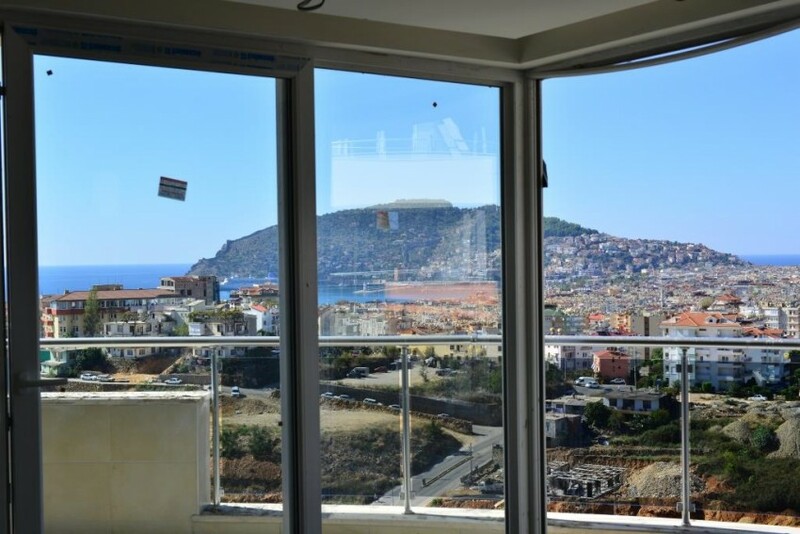 All units share equal quality standards, first class materials and stylish details, most of them offering a panoramic seaview and Alanya view from the balcony as well. 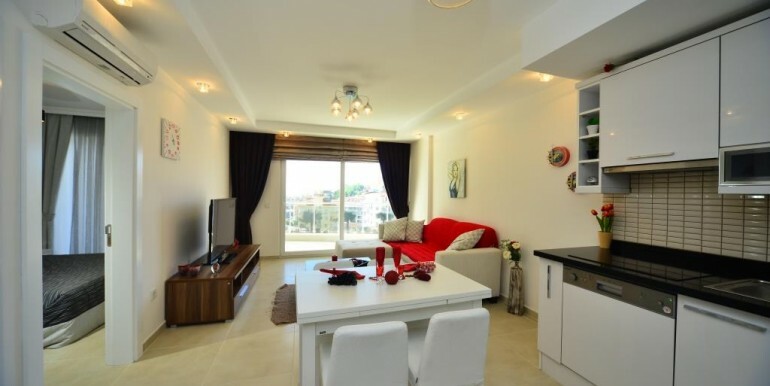 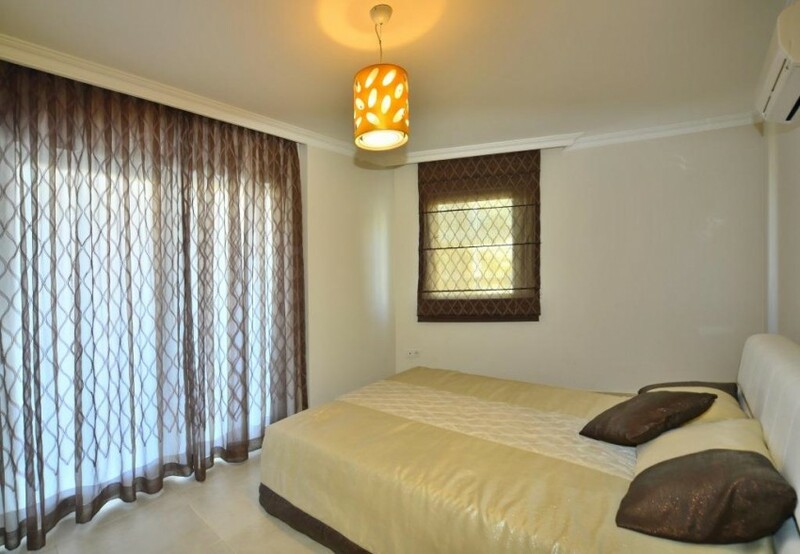 The apartments are equipt with fully fitted American style kitchen, white appliances – fridge/freezer, cooker, hob, extractor, dishwasher and washing machine; fully fitted bathrooms, air-condition in every room, safety-lock entrance door, Intercom system, PVC double-glassed windows, sliding patio door to balcony. 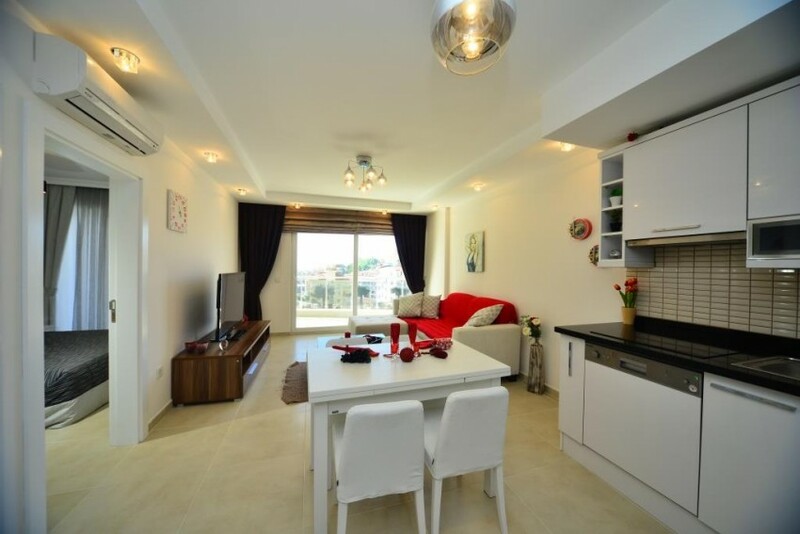 The apartments are in a quiet residential area with many foreigners, within walking distance to the sea and near Kipa supermarket (Tesco chain). 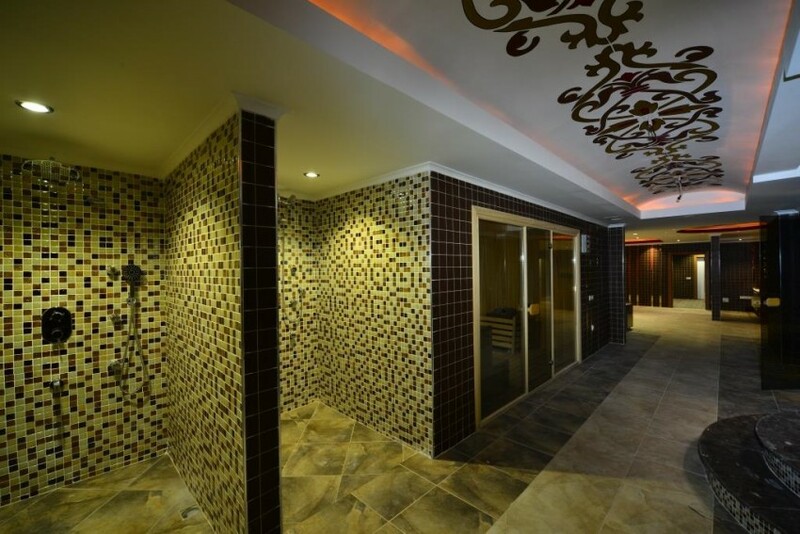 In the complex you you can enjoy wide choice of leisure facilities to keep you relaxed and entertained.